Objective: To evaluate the efficacy of aqueous and methanolic extracts of plant Desmodium triflorum for potential antibacterial activity. Materials and Methods: Phytochemical analysis of Desmodium triflorum belonging to family Fabeacea was examined using aqueous and methanolic extracts. Methanolic and aqueous extracts of whole plant were investigated individually for antibacterial activity by agar disc diffusion method as well as by agar well diffusion method. Both the extracts were tested against selected species of Staphylococcus aureus (G+ve), Micrococcus luteus (G+ve), Bacillus pumilus (G+ve), Pseudomonas aeruginosa (G-ve), Pseudomonas fluorescens (G-ve), Escheria coli (G-ve) to find the inhibitory activities of microbes at the dose level of 50 and 100 µg/ml. Result: The phytochemical analysis of aqueous and methanolic extracts confirmed the presence of alkaloids, steroids, tannins, saponins and flavonoids. Methanolic extract of Desmodium triflorum showed considerably high antibacterial activities against (G+ve) bacteria than aqueous extract. INTRODUCTION: Medicinal plants are a source of great economic value in the Indian subcontinent. Ancient wisdom has been the basis of modern medicine and will remain as one important source of future medicine as well as therapeutics. The future of natural products drug discovery will be more holistic personalized; it involves wise use of ancient and modern therapeutic skills in a complementary manner so that maximum benefits can be accured to the community 1.Nature has bestowed on us a very rich botanical wealth and a large number of diverse types of plants grow in different parts of country. India is rich in all three levels of biodiversity namely species diversity, genetic diversity and habitat diversity. Thousands of species are known to have medicinal value and the use of different parts of several medicinal plants to cure specific ailments has been in vogue since ancient times. Herbal medicine is still mainstay of about 70-80 % of the whole population mainly in developing countries for primary health care because of better cultural acceptability, better compatibility with the human body and fewer side effects 2. However, the last few years have seen a major increase in their use in the developed world. Nowadays multiple drug resistance has developed due to the indiscriminate use of commercial antimicrobial drugs commonly used in the treatment of infectious disease 3.In addition to this problem, antibiotics are sometimes associated with adverse effects on the host including hypersensitivity, immune-suppression and allergic reactions 4.This situation forced scientist to search for new antimicrobial substances. Due to the alarming incidence of antibiotic resistance in bacteria of medical importance, there is a constant need for new and effective therapeutic agents 5, 6. Because of side effects and resistance that pathogenic microorganisms build against antibiotics, recently much attention has been paid to extracts thus biologically active compounds isolated from plant species used in herbal medicine. Plant based antimicrobials represent a vast untapped source of medicines and further exploration of plant antimicrobials needs to occur. Antimicrobials of plant origin have enormous therapeutic potential. They are effective in the treatment of infectious diseases while simultaneously mitigating many of the side effects that are often associated with synthetic antimicrobials 7. A successful chemotherapeutic agent must have selective toxicity. It must kill or inhibit the microbial pathogen while damaging the host as little as possible. The therapeutic dose, the drug level required for clinical treatment of a particular infection. The toxic dose, the drug level, at which the agent becomes too toxic for the host. The therapeutic index is the ratio of the dose to the therapeutic dose. The larger the therapeutic index, the better the chemotherapeutic agent. Drugs vary considerably in their range of antimicrobial effectiveness 8. In over field survey the plant such as Desmodium triflorum is a small perennial trailing under shrub belonging to family Fabaceae (papilonaceae). Desmodium triflorum is found on wide range of soils most commonly in dry, distributed sites near the coast, on dry slops, lava flows also in lawns, pastures, waste places and along road sides. Roots, leaves and whole plant are used traditionally. The leaves are galactagogue and grind with cow’s milk; they are given daily in the morning to children to treat diarrhoea due to indigestion as well as in convulsion. Roots are reputedly carminative, tonic, diuretic and used in bilious complaints 9. Expressed juice from a well macerated plant, is applied to abcesses and wounds that do not heal readily. Its main actions include anti-spasmodic, sympathomimetic, central nervous system stimulation, curare-mimetic activity and diuretics. Crushed plant or a poultice of the leaves is externally applied on wounds, ulcers and for skin problems in general, apparently for its antiseptic properties. It is also used as forage, as a green manure and ground cover 10, 11, 12. MATERIALS AND METHODS: The whole plant Desmodium triflorum was collected from the local dealer of medicinal herbs. Plant was authenticated by National Botanical Research Institute, (CSIR) Lucknow- 226001, India and its authentication no. is LWG-008. Whole plant was washed properly to remove dirt, powdered well by grinding and avoiding the moisture contamination. This powdered drug passed through sieve for obtaining uniform particle size then powdered crude drug was dissolved in several solutions to determine their optimum solubility. Dragendorff’s Test: Potassium bismuth iodide 1ml was added to the extract solution and the formation of reddish brown precipitate indicated the presence of alkaloids. Wagner’s Test: Iodo-Potassium iodide 2ml was added to the extract solution. Formation of brown precipitate indicated the presence of alkaloids. Mayer’s Test: Mercuric potassium iodide 2ml was added to the extract solution and the formation of dull white precipitate revealed the presence of alkaloids. Hager’s Test: Saturated aqueous solution of picric acid 3ml was added to the extract solution. The formation of yellow precipitate confirmed the presence of alkaloids. Libermann-Burchard Test: The extract was dissolved in 2 ml of chloroform in a dry test tube then added 10 drops of acetic anhydride and 2 drops of concentrated sulphuric acid. The solution becomes red, then blue and finally bluish green, indicated the presence of steroids. Salkowski Test: The extract was dissolved in 5ml of chloroform and added 5ml of concentrated sulphuric acid. The formation of bluish red to cherry red color in chloroform layer and green fluorescence in the acid layer represented the steroid components. Shinoda Test: Magnesium ribbons 1ml and 1-2 drops of concentrated hydrochloric acid was added to extract. The formation of pink color shows the presence of flavonoids. Pew’s Test: Zinc (metal) dust and few drops of 5N HCl was added to the extract solution. The formation of red color showed the presence of flavonoids. Foam Test:Test extract was dissolved in distilled water and shaken in for 15 minutes. A one centimeter layer of foam indicated the presence of saponins. Haemolysis test:One drop blood on slide was mixed with few drops of test extract; RBC’s became ruptured in presence of saponins. Legal test:The extract was dissolved in pyridine to this sodium nitroprusside solution was added to make alkaline and the formation of pink red colour showed the presence of glycosides. Baljet Test: Sodium picrate solution 1ml was added to the 1ml of extract solution and the change of yellow to orange color revealed the presence of glycosides. To the extract solution, ferric chloride solution was added. Formation of dark blue color product showed the presence of phenolic compounds 13, 14. Antimicrobial Screening: The in vitro screening for antimicrobial study was carried out using Staphylococcus aureus MTCC 1430 (G+ve), Micrococcus luteus MTCC 1538 (G+ve), Bacillus pumilus MTCC 1456 (G+ve), Pseudomonas aeruginosa MTCC 424 (G-ve), Pseudomonas fluorescens MTCC 2421 (G-ve), Escheria coli MTCC 1573 (G-ve) were obtained from Institute of Microbial Technology (IMTECH), Chandigarh, India. Aqueous extract: Approximately 100 g of shade-dried powder of whole plant Desmodium triflorum was taken in a 1 L beaker and the ratio of chloroform: water (1: 99) was added up to a sufficient level to immerse the drug completely. Chloroform was added as a preservative to prevent microbial growth. This set up were placed aside for 72 hours with stirring at alternate intervals. Finally, the contents of the beaker were vacuum filtered to get a clear watery greenish coloured extract. The extract was concentrated under high vacuum and completely dried in a desiccator. Methanolic extract: Plants Desmodium triflorum, was shade-dried and powdered separately. The powder 100 g was packed in a soxhlet apparatus and subjected to continuous hot percolation for about 8 hours with methanol 350 ml as solvent. The extract was concentrated to a semi-solid mass under vacuum and completely dried in a desiccator. The antibacterial activity of plant Desmodium triflorum was evaluated by agar disk diffusion method. Microorganisms were activated by inoculating a loopful of the strain in the nutrient broth and incubated at room temperature on a rotary shaker. Then 0.2 ml of inoculum (inoculum size was 108 cells/ml as per McFarland standard) was inoculated into the agar media and after proper homogenization it was poured into 100 mm disk. For the agar disk diffusion, the test compound was introduced onto the disc 7 mm disk and then allowed to dry. Thereafter, the disk was impregnated on the seeded agar plate. Experiment was performed 3 times under strict aseptic conditions. Microbial growth was determined by measuring the diameter of the zone of inhibition and the mean values were presented. Successive isolation of botanical compounds from plant material is largely dependent on the type of solvent used in the extraction procedure. Traditional healers use primarily water as the solvent but we found in this study the plant extracts by methanol provided more consistent antimicrobial activity compared to those extracted by water. The results of antibacterial activity of plant Desmodium triflorum against the investigated bacterial strains are shown in Table 3 & 4. Methanolic extract produced incresed zones of inhibition comparative to aqueous extracts in the Kirby-Bauer analysis. This might have resulted from the lack of solubility of the active constituents in aqueous solutions while methanolic extracts showed some degree of antibacterial activity. Further trials using solvents of various polarities will explore the effects of solvent composition on extract efficacy.Various researchers had already shown that Gram positive bacteria are more susceptible towards plants extracts as compared to Gram negative bacteria.These differences may be attributed to fact that the cell wall in Gram positive bacteria is of a single layer, whereas the cell wall of Gram negative bacteria is multilayered structure15. Alternatively, the passage of the active compound through the cell wall of Gram negative bacteria may be inhibited. It is thought that observed differences may result from the doses used in this study. In addition, microorganisms show variable sensitivity to chemical substances related to different resistance levels between strains.Preliminary phytochemical analysis of Desmodium triflorum revealed the presence of alkaloids and saponins. RESULTS & DISCUSSION: Desmodium species are commonly used for ethanomedicinal purposes. Number of herbal extracts described to have antibacterial activity. Herbal extracts usually used directly or indirectly for the preparation of many modern drugs 16. Several studies have reported that plant Desmodium triflorum indicates anti-oxidant, antiproliferative, 17 analgesic, anti-inflammatory 18 and anthelmintic activites 19 using whole plant extracts. Whereas, the methanolic extracts show considerable analgesic and anti-inflammatory activity 20. In present study in vitro antibacterial activities of methanolic and aqueous extracts were investigated against (G+ve) and (G-ve) bacteria. Results revealed that methanolic extracts exhibit considerably increased antibacterial activity for (G+ve) bacteria than aqueous extracts. The ZOI of methanolic as well as aqueous extracts were found to be 16-18 mm and 13-14 mm respectively using 100 µg/ml. The ZOI of samples were also compared with the ZOI of gentamycin 10 µg/ml which showed ZOI of 22-25 mm for (G+ve) bacteria and 17-18 mm for (G–ve) bacteria. This activity had compared with the Desmodum heterocarpon which showed weak antimicrobial activity showing ZOI of 8-9 mm using 400 µg/ml against (G+ve) bacteria 21 however Desmodium gyrans was found more active against (G+ve) bacteria having ZOI of 12-13 mm using 50 µl/disc 22. The Desmodium gangeticum had also showed high antibacterial potentiality with methanolic extract of whole plant 23. Present research reported the presence of alkaloids, steroids, gycosides, saponins, flavonoids, proteins, amino acids and phenolics by preliminary phytochemical analysis. Plants containing flavonoids possess good antioxidant properties 24. Therefore Desmodium triflorum has similar efficacies as cosmossin, vitexin, genistin etc. It scavenges superfluous free radicals and thus possess antioxidant activities. TABLE 1: PHYTOCHEMICAL SCREENING OF AQUEOUS EXTRACT OF DESMODIUM TRIFLORUM. µg- microgram, ml- millilitre, mm- millimetre. TABLE 4: ANTIBACTERIAL ACTIVITY OF METHANOLIC EXTRACTS OF DESMODIUM TRIFLORUM. FIGURE 1: PETRI PLATES SHOWING ZONE OF INHIBITION. FIGURE 2: PETRI PLATES SHOWING ZONE OF INHIBITION. 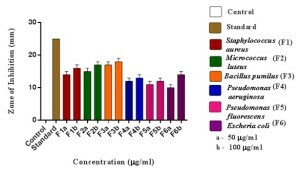 FIGURE 3: GRAPHICAL REPRESENTATION OF ANTIBACTERIAL ACTIVITY OF AQUEOUS EXTRACT OF DESMODIUM TRIFLORUM. 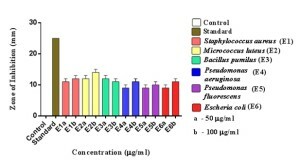 FIGURE 4: GRAPHICAL REPRESENTATION OF ANTIBACTERIAL ACTIVITY OF METHANOLIC EXTRACT OF DESMODIUM TRIFLORUM. CONCLUSION: The study was carried out for the evaluation of antibacterial efficacy of aqueous and methanolic extracts of plant Desmodium triflorum against (G+ve) and (G-ve) bacteria. Methanolic extracts of Desmodium triflorum possessed increased antibacterial activity for (G+ve) bacteria as compared to (G-ve) bacteria in dose dependent manner. It can be concluded from the study that methanolic extract of Desmodium triflorum also possess antibacterial effect. Further studies will be done for preventing and curing ailments in which free radical formation is involved pathogenecally. ACKNOWLEDGEMENT: The authors are grateful to the chairman, Department of Pharmacology Manav Bharti University, Solan (H.P. ), for providing necessary research facilities and IMTECH Chandigarh, NBRI Lucknow for providing microorganisms and authentication procedures respectively. My special thanks to my loving Parents, Mr. Munish Sharma and Ms. Amandeep Kaur. Patwardhan B, Hooper M. Ayurveda and future drug development. Int J Alternative Complement Med 1992; 10: 9-11. Davis J. Inactivation of antibiotics and the dissemination of resistance genes. Science 1994; 264(5157): 375-382. Service RF. Antibiotics that resist resistance. Science 1995; 270(5237): 724-727. Ahmad I, Mehmood Z, Mohammad F. Screening of some Indian medicinal plants for their Antimicrobial properties. J Ethanopharmacol 1998; 62(2): 183-193. Monroe S, Polk R. Antimicrobial use and bacterial resistance. Curr Opin Microbiol 2000 Oct; 3(5): 496-501. Bhavani SM, Ballow CH. New agents for Gram-positive bacteria. Curr Opin Microbiol 2000 Oct; 3(5): 528-534. Essawi T, Sriur M. Screening of some Palestinian medicinal plants for antibacterial Activity. J Ethanopharmacol 2000; 70(3): 343-349. Iwuu MW, Duncan AR, Okunji Co. New antimicrobials of plant origin In: Janick, J Editors. Perspectives on New Crops and New Uses. Alexandria: ASHS Press; 1999. 457-462.
sativum (seeds) Against Drug ResistenceHuman Pathogenic Bacteria, Herbal Tech Industry 2010; 6: 19-24. Jain NK, Practical Microbiology. 5th ed. Vallabh Prakashan; 2001. 33. Lemmens RHMJ, Bunyapraphatasara. Amaranthus spinosus. In: de Paudua LS, Bunyapraphatasara N, Lemmens RHMJ, editors. Medicinal and Poisonous plants 1. Backhuys publishers, Leiden, Netherlands; 1999. p. 110-113. Romero CD, Chopin SF, Buck G, Martinez E, Garcia M, Bixby L. Antibacterial Properties of common herbal remedies of the southwest. J Ethanopharmacol. 2005; 99: 253-257. Kokate CK. Practical Pharmacognosy. 4th ed. Vallabh Prakashan; 1994. 107-109. Lin J, Opoku AR, Geheeb-Keller M, Hutchings AD, Terblanche SE, Jager AK, van staden J. Preliminary screening of some traditional zulu medicinal plants for anti-inflammatory and antimicrobial activities. J Ethanopharmacol 1999; 68: 267-274. Gunasekaran P. Laboratory Manual in Microbiology. 1st ed. New Age Publisher;1995. 77. Yao J, Moellering R. Antimicrobial agents. 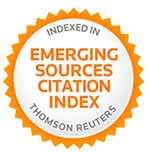 In: Mannual of Clinical Microbiology, Murray P, Baron E, Pfaller M, Tenover F, Yolken R, editors. Washington DC; 1995. 1281-1290. Lai SC, Ho YL, Haung TH, Lai r, Wu CR, et al. Antioxidant and Antiproliferative Activities of Desmodium triflorum (L.) DC. Am J Chinese Med 2010; 38(2): 329-342. Choudhury KK, Saha A, Bachar SC, Kunda JK. Analgesic and anti-inflammatory Activities of Desmodium triflorum DC. Journal of Biological Sciences 2005; 5(5): 581-583. Phytochemical Screening and Anthelmintic Activity of Desmodium Triflorum(DC) Leaf and Root Extracts. Int J Pharm Sci 2013, 3(1): 156-158. Lai SC, Peng WH, Haung SC, Ho YL, Huang TH, Lai ZR, et al. Analgesic and Anti-Inflammatory Activities of Methanol Extract from Desmodium triflorum DC in mice. Am J Chinese Med 2009; 37(3): 573-588. Hasan AA, Choudhary MH, Azam ATMZ. Antimicrobial, Cytotoxic and Antioxidant Activities of Desmodium Heterocarpum. Bangladesh Pharmaceutical Journal 2011 Jan; 14(1): 49-52.
kaliranjan A, Michael JS, Singh AJAR. A Preliminary Screening of Medicinal Plants Desmodium gyrans DC for its Antimicrobial, Phytochemistry and wound healing Properties. 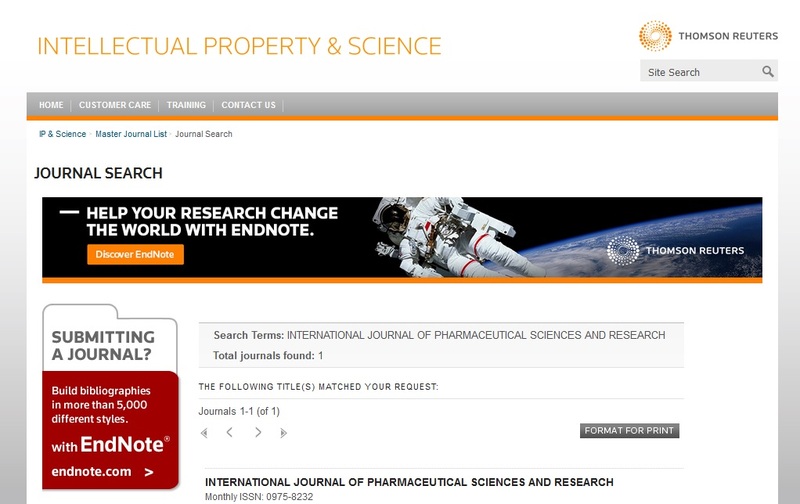 IJPSR 2012 May 23; 3(6): 1726-1730. Karthikeyan K, Selvan GS, Srinivasan R, Chandan C, Kulothungan S. In vitro Antibacterial activity of Desmodium gangetium (L.) DG. Asian Pac J Trop Diseases 2012 Oct 28: S421-S424. Raj KJ, Shalini K. Flavanoids – A review of Biological activities. Indian Drugs 1999; 36: 668-676. Sharma R, Parashar B and Kabra A: Efficacy of Aqueous and Methanolic extracts of plant Desmodium triflorum for potential Antibacterial activity. Int J Pharm Sci Res 2013; 4(5); 1975-1981.